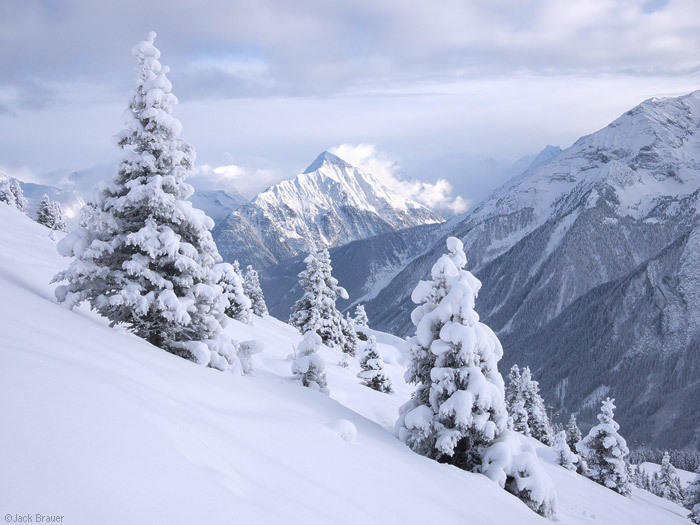 Photos from a week in the ski town of Mayrhofen, in the Zillertal valley of Austria. Lifting clouds swirl around the snowy peaks near Mayrhofen. Photo © copyright by Jack Brauer. 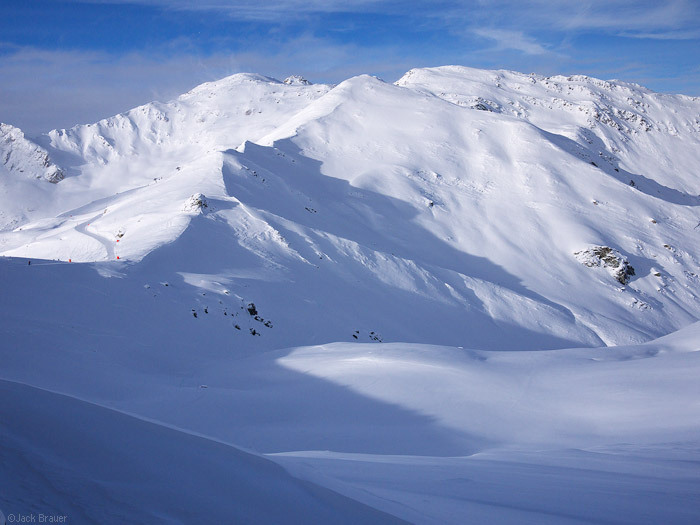 Winter snow and shadows seen from Wanglspitz in the Mayrhofen ski area. Photo © copyright by Jack Brauer. Snowy trees in Mayrhofen - December. Photo © copyright by Jack Brauer. 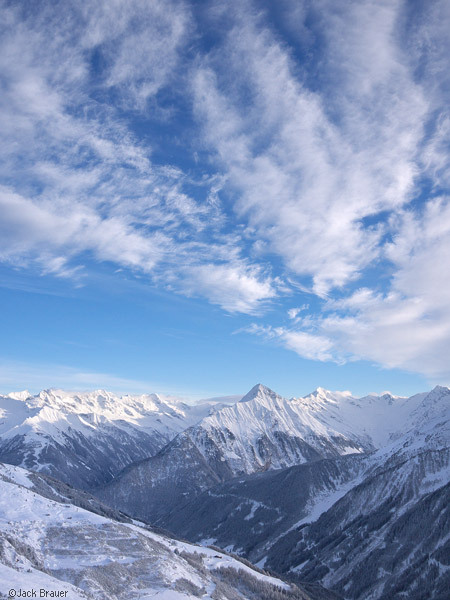 Blue sky and clouds over Mayrhofen - December. Photo © copyright by Jack Brauer. 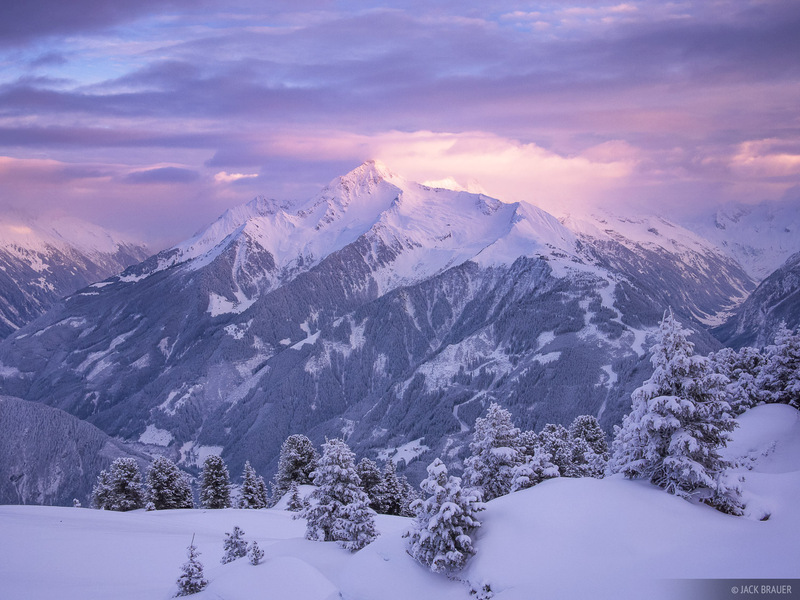 Panoramic view at sunset of the 150-er Tux cable-car and the Mayrhofen ski area - December. Photo © copyright by Jack Brauer. 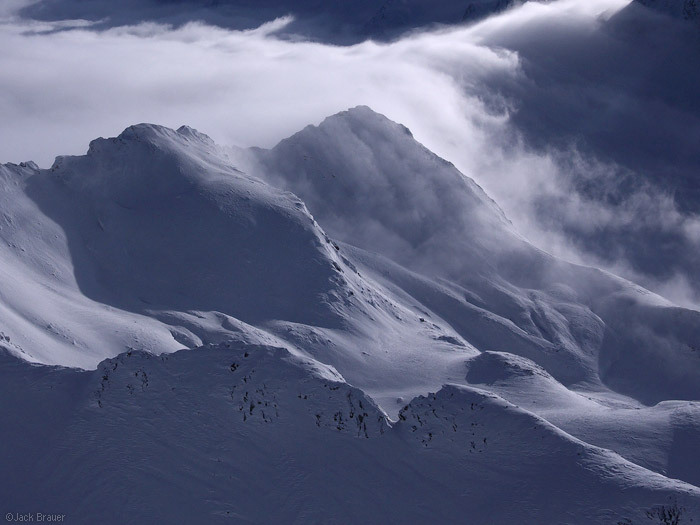 Clouds stream over mountain ridges near Obergurgl. Photo © copyright by Jack Brauer. Posted in Alps & Europe, Skiing & Snowboarding and tagged Austria.